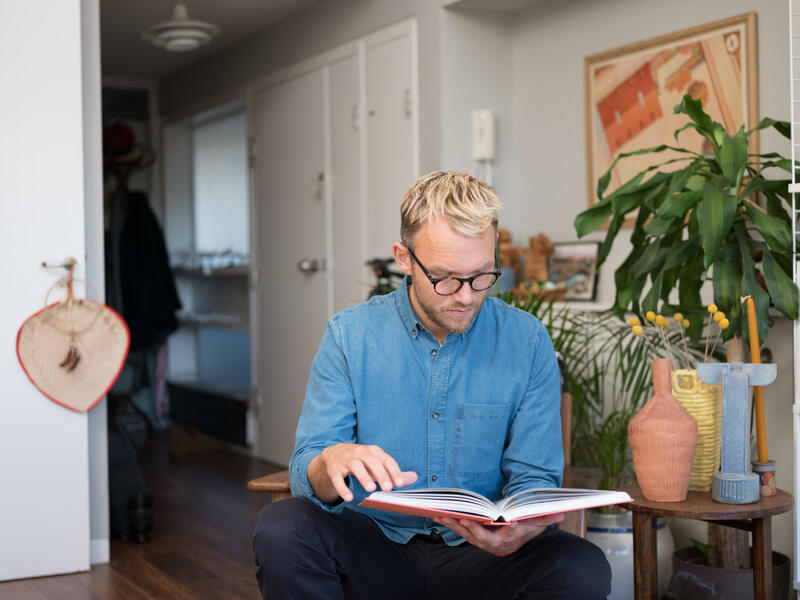 Tom Morris is a London-based editor, journalist and brand consultant who has been writing for numerous notable publications. His third book New Wave Clay was just published and has been receiving much deserved attention. 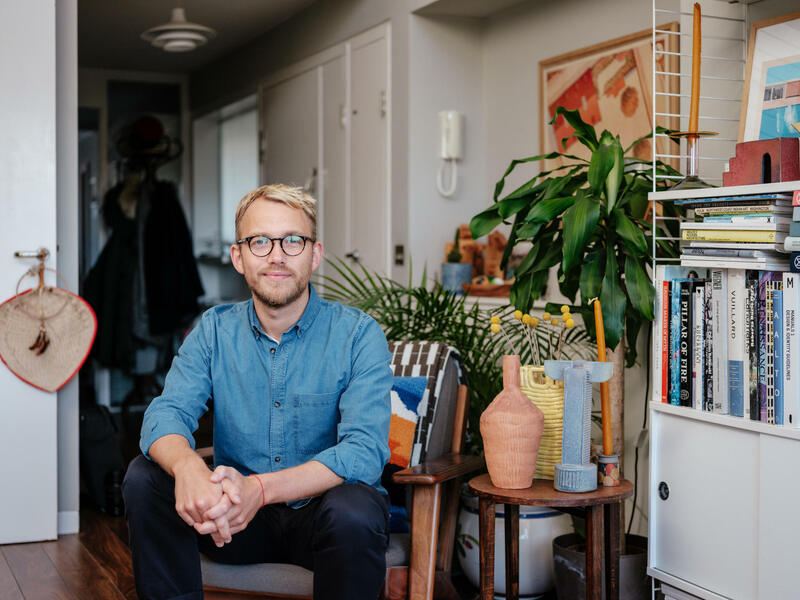 Being a collector and an amateur potter himself, Tom has been passionate about clay objects since he was young. We asked Tom about the worldwide phenomenon of new clay movement, what exactly is happening, and of course, a bit about himself. First and foremost, why clay? What made you decide to write a book about clay? 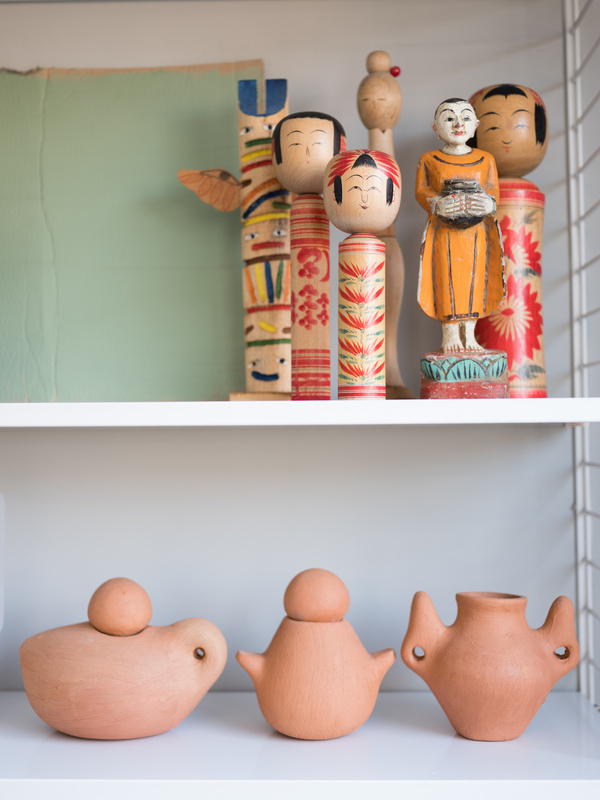 I have always been fascinated by clay objects – when I was young my bedroom had lots of trinkets and things in it. Then, as a design journalist, I have always enjoyed writing about clay artists and potters. 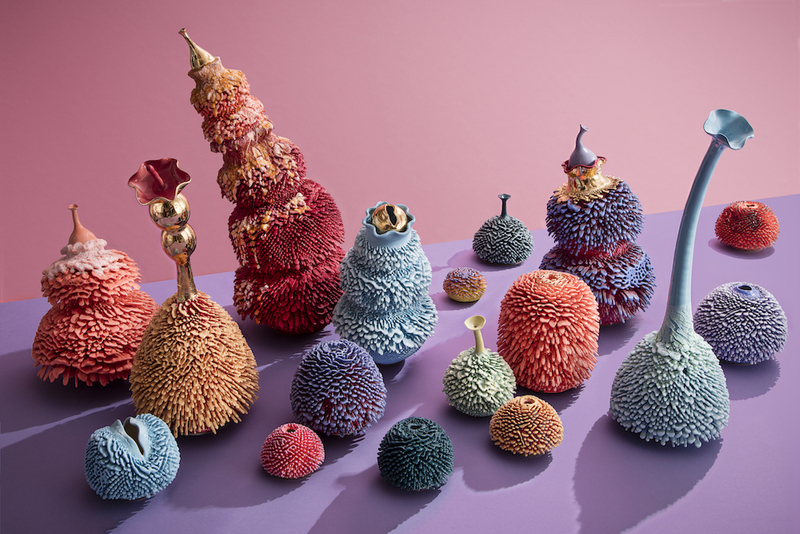 I noticed over the last couple of years that there was a very exciting movement happening in ceramics – lots of people were taking up the medium and doing highly original things with it. I realised a book was needed to both catalogue and investigate this. 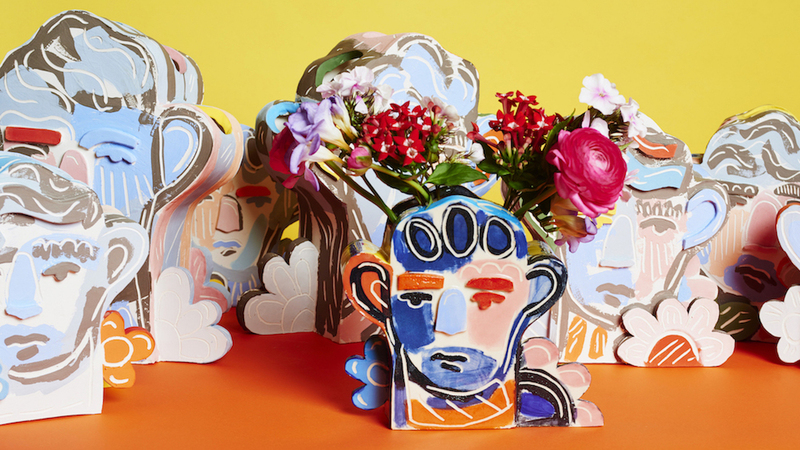 Are you a collector of any sort of ceramics? If so please tell us a bit about your collection. Most people can look around their home and their lives will be told in ceramic, and the same goes for me. My collection is quite varied and highly meaningful. I have a pinch pot I made at school, some Wedgwood, a favourite set of naïve terracotta pots from a particularly memorable holiday to Lanzarote, plus some antique ceramics I inherited from my late father. They all mean a lot to me, for different reasons. 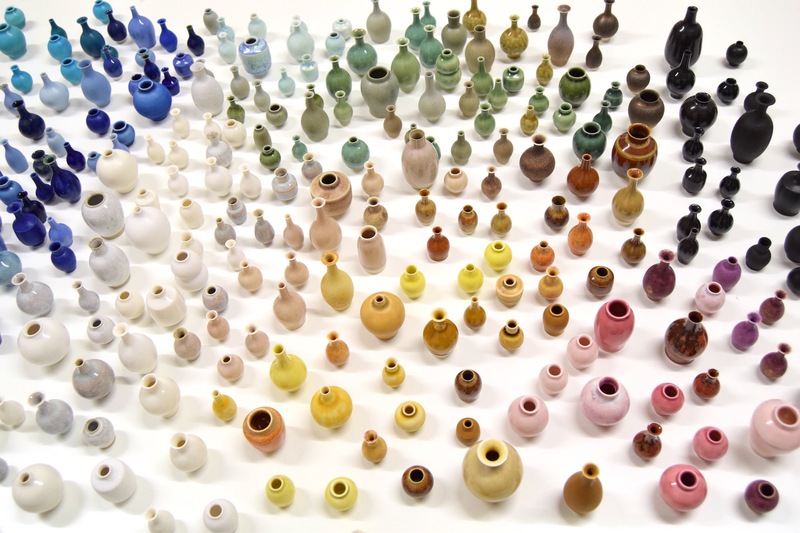 How do you feel about mass-produced ceramics? Ceramics have been mass-produced for decades and decades – it’s always been a democratic material and I don’t think that’s a bad thing! I love the diversity of what ceramics can be and the range of value we put on them. What I have been quite intrigued to observe is the rise of mass-produced ceramics that masquerade as hand-made in recent years: wonky plates and flecked mugs etc. I heard that you are an amateur potter. How did you start? How long have you been doing that? I took ceramics up about 4 years ago. Making ceramics gave me a very deep understanding of how something that looks so simple can be incredibly complex to make. Having this practical knowledge was very important in helping me select the line-up for the book. I had to take a break from making ceramics in the studio in order to produce the book. After the book was finished I did a week long intense throwing course to refresh my memory and was thrilled to get back behind the wheel! How did you select the artists for the book? Were you familiar with all of them before? A large handful of very helpful gallerists, lecturers, curators and professors helped me with the list. My criteria were fairly broad: works had to be unique (not industrially produced) and I steered clear of the not functional (i.e. no plates or mugs). I was always insistent that the ‘new wave’ should not necessarily mean young: it is an attitude towards clay, rather than an age bracket. 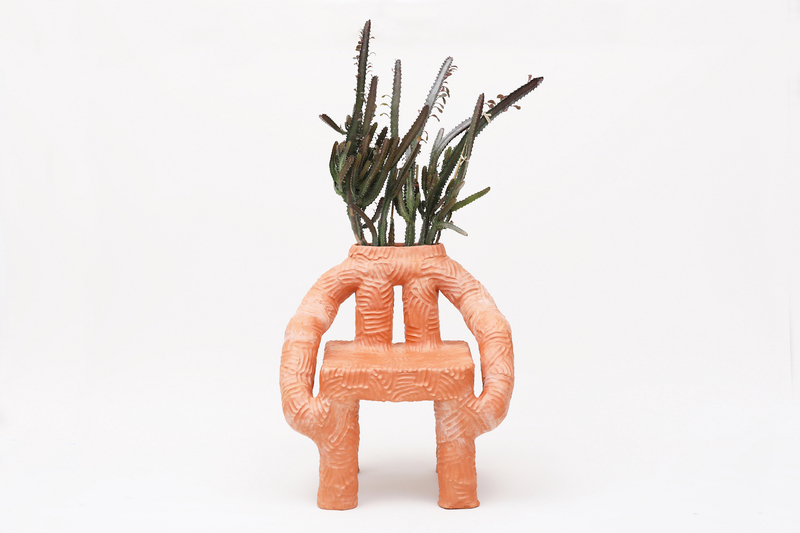 I know it might be difficult to choose, but who is your favorite ceramic artist/artwork? Could you also tell me how you found this particular artwork/artist? Many artists from different parts of the world are featured in this book. 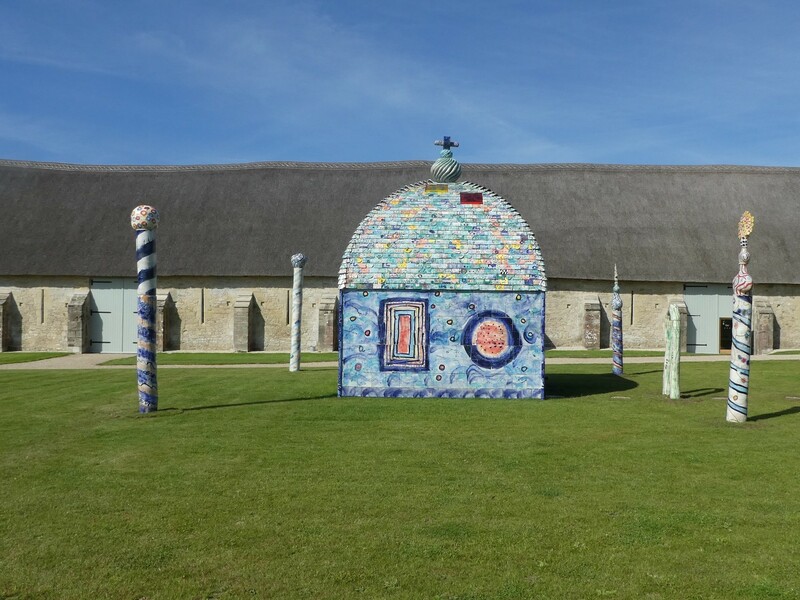 Do you think the new ceramics movement is a global phenomenon? Yes, I think it’s a worldwide phenomenon. We are all so overwhelmed by technology and shiny screens that we are yearning to get back to using our hands and do something physical. That’s the same for people everywhere from Los Angeles to Seoul or London. The interview with Edmund was very interesting. At what point was this interview conducted? Did it affect the editing of the book? I interviewed Edmund towards the end of the process. He was utterly charming, enlightening and insightful on the matter. Thankfully, he helped clarify and support many of the thoughts that I had had putting the book together. Getting access to all sorts of different studios and seeing work up close is one of the most pleasurable things about making a book like this. You mentioned that many wonder ‘Why does everyone suddenly love ceramics?’. What is the answer to this in your opinion? We live in an age of instant gratification and touch screens. Ceramics is the opposite – it takes time and concentration and physical exertion. It takes mess. I think a younger generation simply enjoy the novelty of this. 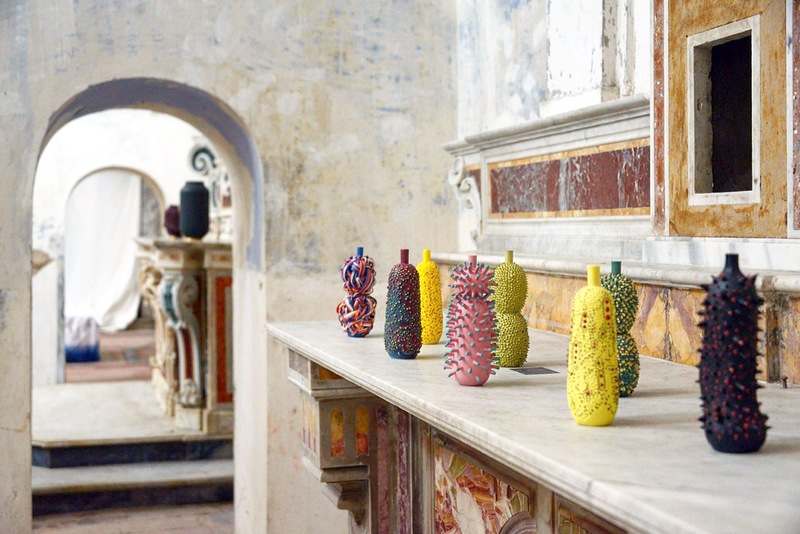 Do you think there are anything other than ceramics that is getting the attention of the digital native generation simply because it is the opposite of what they are used to-instant gratification and touch screens? 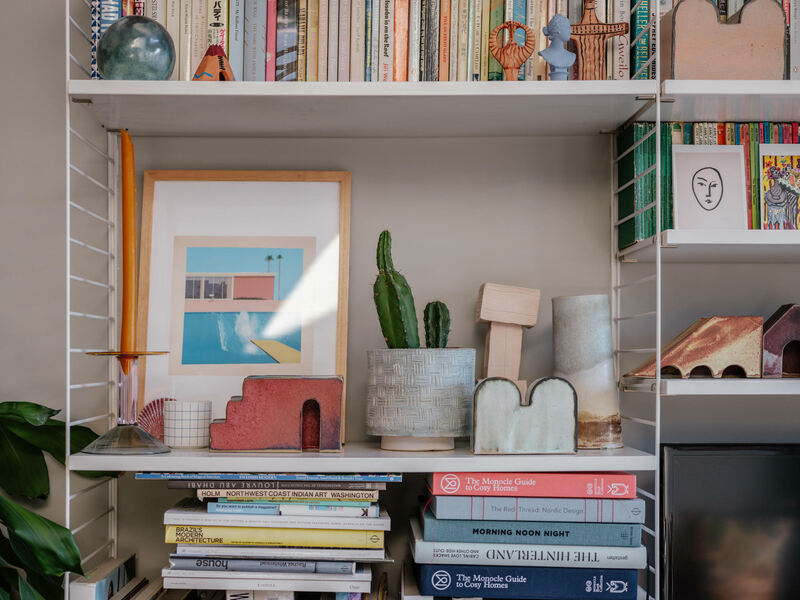 Absolutely, it’s part of the broader ‘hand-made’ hobby movement and extends to the resurgence of people doing collages, wood-whittling, knitting and baking. 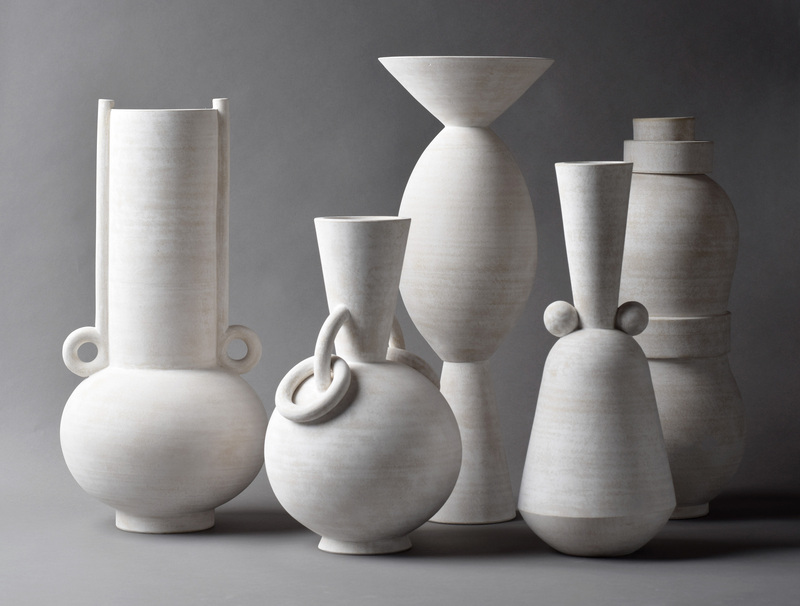 You mentioned that what makes ceramics so exciting is “not simply a case of breaking rules, it’s not knowing what the rules are in the first place”. Do you feel the same about other forms of craft/art that uses natural objects as materials such as woodwork or ironwork? Woodwork and ironwork are slightly different in that clay – in its most primordial form – is a material we all sympathise with and can easily handle. There are many rules to ceramics and plenty of hurdles that get in the way of producing a perfect piece of pottery, but there’s no other material that’s quite so much fun as muddy clay. Likewise, while a professional potter needs a lot of space and equipment, amateurs can just pick up this cheap material and have a go – wood and metalwork are trickier. You mentioned the digital generation a few times. What is your image of them? It’s been key to this new wave for two important reasons. 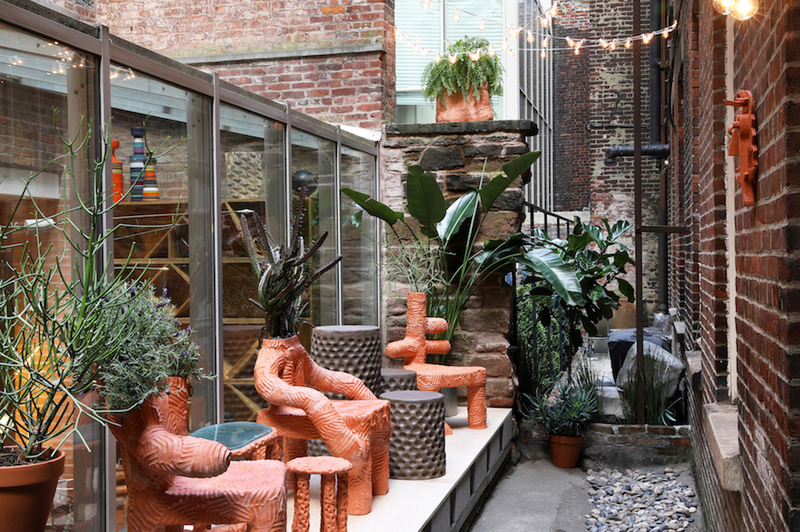 On the one hand, people are taking up ceramics as a reaction against the digital age. On the other hand, platforms like Instagram have been really instrumental in helping young ceramicists careers progress. So, weirdly, it’s positive overall. 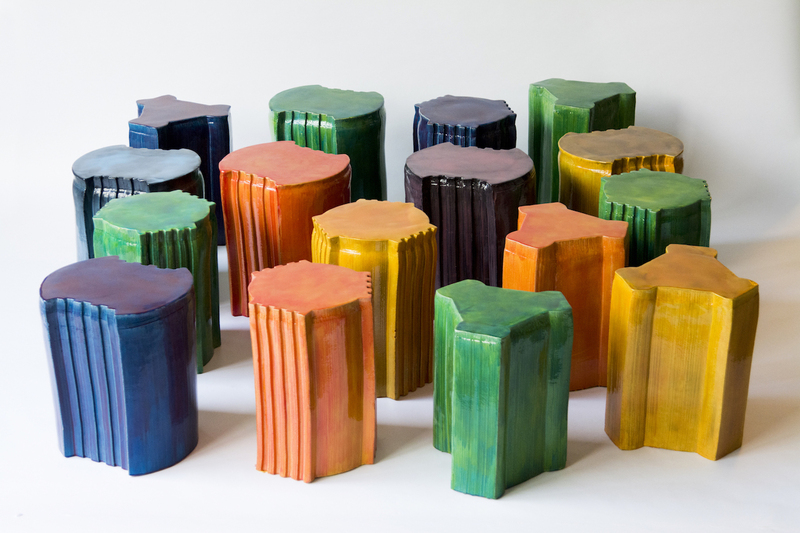 Do you think the older generations of ceramic artists are getting benefits of platforms such as Instagram as well, even without having an account themselves? If so, how? A lot of them use it actually. I think the older generation understands Instagram’s value for marketing and publicity, but perhaps not so much for creating connections and community building. Their generation benefited from making networks at universities and colleges that they have sustained for life. The younger generation don’t have that as so many courses have been cut from higher education facilities (in the UK at least) and Instagram has helped fill that gap. I imagined that with platforms like Instagram, there will be more opportunities for everyone. Do you know any potter who was unknown but became successful through a social media platform? Yes, there are a number of clay celebrities on there. Many have used it to their advantage, and that’s really great. What one has to remember is that, like anything on social media, an awful lot of mediocrity can be decorated with snazzy filters, smart editing and a fun caption! 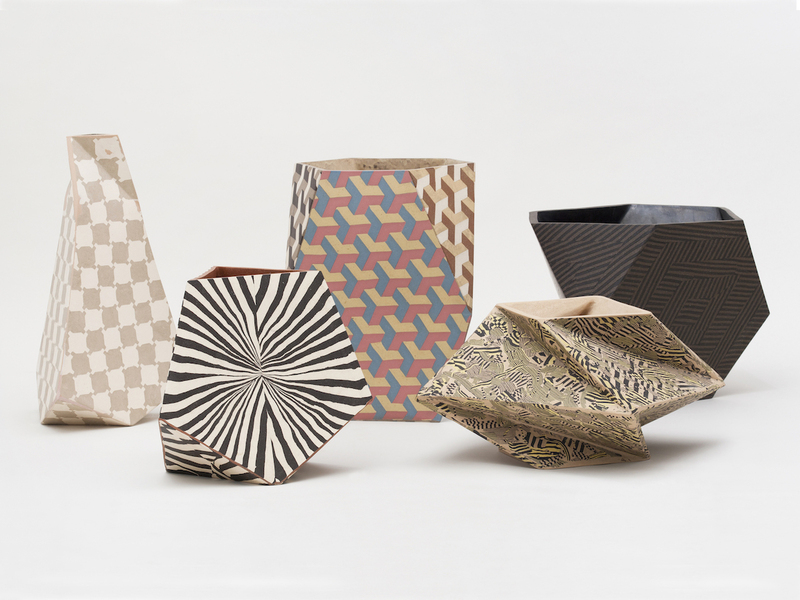 In ceramics, what is the line between craft and art? I have deliberately steered clear of this subject in the book. It has dogged the world of ceramics for too long with previous generations quite obsessed with where pottery sits. I truly think this ‘new wave’ doesn’t label or assign categories. Who cares? Could you tell us a bit about yourself? How did you get to where you are at now? I was born on the south coast of England and moved to London to go to university to study history of art. It was an academic background than ‘creative’ and I graduated wanting to be an art critic. I then got into the magazine world and slowly my writing widened out to include culture before focussing on design as design editor at Monocle magazine. This brought in all my interests of decoration, style, craft, architecture, luxury and materiality – and how they all have an effect on people’s lives. I’ve gone on to tell those stories in film, hosting a podcast about design and in a couple of books. Do you have any advice for young people who want to have your job? Be very open-minded about opportunities that come your way and focus on the interests that mean something to you. Then try to work out, in the middle of all of that, what the world actually needs and will pay you to provide. Then take up a hobby! Born in Japan, raised in New York City, Tokyo and Toronto. She trained on the Motley Theatre Design Course, London UK. Prior to Motley, she gained a BA Hons in Costume Interpretation from Wimbledon School of Art (University of the Arts).Throughout and after her studies, she worked on variety of film, theatre and installation projects as a costume/set designer. She has been working on personal projects since the beginning of 2012 and currently based in Tokyo.